Home / Random Places / Can I get a little Moooo up in here?!?! Can I get a little Moooo up in here?!?! Chain or Not Chain: Chain, cha, chain chain. Reservations Needed: Nope...but you never know if or when it will be busy! Yuuuuuuuuuuuuuuuuuuuuuuuuuuuuuuuuuuum. That is all...thanks for reading. Ok, I guess I will elaborate. This isn't the first time I have been to Fuddruckers, and it will not be the last. Yet, going this time as a expert *cough cough, as if* food blogger, I found myself taking some extra time to notice the little things. After we placed our order we went, grabbed our drinks (self serve) and a table. It took about 10 minutes for our order to be completed and we made our way to topping heaven. Now the reason I skip the cheese is because I take advantage of the evil, yet so delicious nacho cheese sauce at the topping bar (jalapeno cheese if you prefer things a little more picante!). They offer a variety of condiments from your basic ketchup to barbeque sauce and my personal favorite honey mustard (excuse my while I have a moment). The fresh toppings are set up like a salad bar, and offer all the veggies you will need to cover the guilt of eating a huge burger. Even tucked at the end of the topping bar are lemon and lime wedges. If you have never had some fresh lemon juice squeezed on your burger - you don't know what your missing. I think it may be a Puerto Rican thing, because I had never heard of it till my mother in law told me - now I can't live without it! Oh, and did I mention that they bake all their hamburger buns in house? Well they do, and they smell heavenly. There is a burger under the salad - I swear. After we take our seats again and dive in (after a quick burger photo op) we are not disappointed. 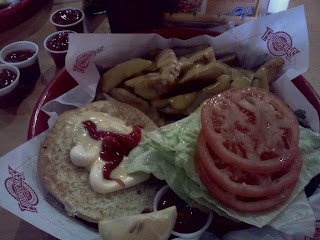 The burgers are delicious, the bun is perfectly toasted - and the toppings, well perfection because I put them on myself! The fries are also delicious and before long I am remembering why I wanted a 1/3lb burger in the first place (soooooo full). Fuddrucker's also has fresh baked goods and other desserts but I have never had the room (or hollow leg) to partake in them. They also serve beer, if your legal - that's 21 ya'll - sorry my fellow Canadians, 19 won't cut it here! 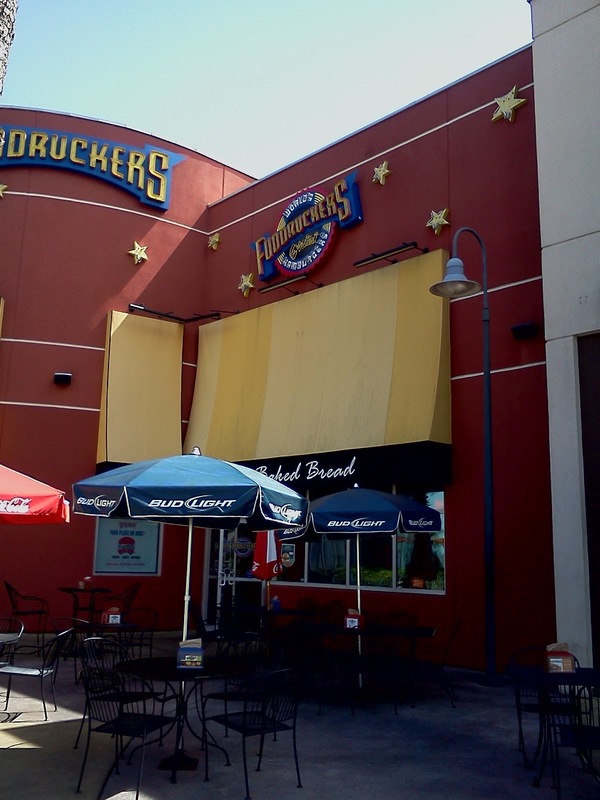 Fuddrucker's is a delicious option if you are looking for a scrumptious burger. 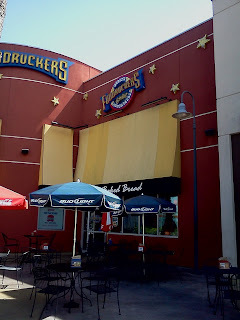 Their menu does offer a variety of options - from chicken sandwiches to salads, nachos and even a veggie burger. I think the reason I enjoy it so much is because it is a once a while spot for us to go. If we were to go too frequently I believe I would get sick of it quickly - too much of anything is never good. Yet, because of that reason the price of the burger doesn't seem as bad because it is a "special" meal. You are looking at about double the price (depending on what you get) of a burger combo at your local fast food joint - it is worth it - just don't think of it as fast food but a once a month treat. I am excited to go again and think I will change it up with a different burger...maybe some elk?! Remember, variety is the spice of life! Happy Eating, and enjoy a little squeeze of lemon!